Published: Dec. 3, 2012 at 06:32 a.m.
(7:37) (Shotgun) C.Batch pass short right to H.Miller for 7 yards, TOUCHDOWN [A.Jones]. The Replay Assistant challenged the runner was in bounds ruling, and the play was Upheld. Published: Dec. 3, 2012 at 05:29 a.m.
(12:44) C.Batch pass deep middle to H.Miller to BLT 19 for 43 yards (C.Williams). Published: Dec. 2, 2012 at 07:23 p.m. 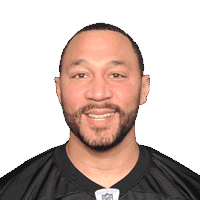 The Pittsburgh Steelers tie the game in the fourth quarter when quarterback Charlie Batch hits tight end Heath Miller for a 7-yard score. The play was upheld after a review. Published: Dec. 2, 2012 at 06:32 p.m. The Pittsburgh Steelers march into Baltimore Ravens territory when quarterback Charlie Batch finds tight end Heath Miller for a pickup of 43 yards.